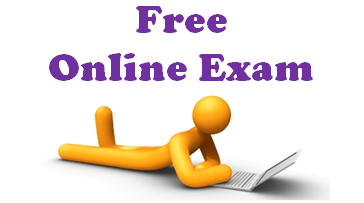 Perhaps you are familiar with PTE exam format, but if you want to practise more with a computer system, hardly any institute can provide what you need. Today, Sydney PTE Academy is happy to announce that we provide an online practice system for our students that will allow them to prepare even better for PTE Academic. Sydney PTE Academy provides free monthly access to an online system for our students. Each of the students will be provided their unique login and they will be able to practise with the latest questions in Speaking, Reading, Listening and Writing. Besides, Sydney PTE Academy’s system allows students to use headset which is the same as in the actual PTE test, in order to provide the most authentical environment for the students and help them develop more confidence. With stricter language requirements for immigration purposes and more difficult exam questions in IELTS, PTE Academic should be your best alternative to earn a visa invitation. For students who want to study in Australia, PTE Academic is also a great option since universities require lower marks in PTE than in IELTS. Sydney PTE Academy provides the most professional training, the most international study environment and the most flexible timetable! If you are interested in our offer, please visit our website www.sydneypte.com.au for more information, book a trial class or just come by to our office at Level 17, 31 Market Street, Sydney NSW 2000 (near QVB Building and Town Hall station)! Don’t hesitate, just check us out!